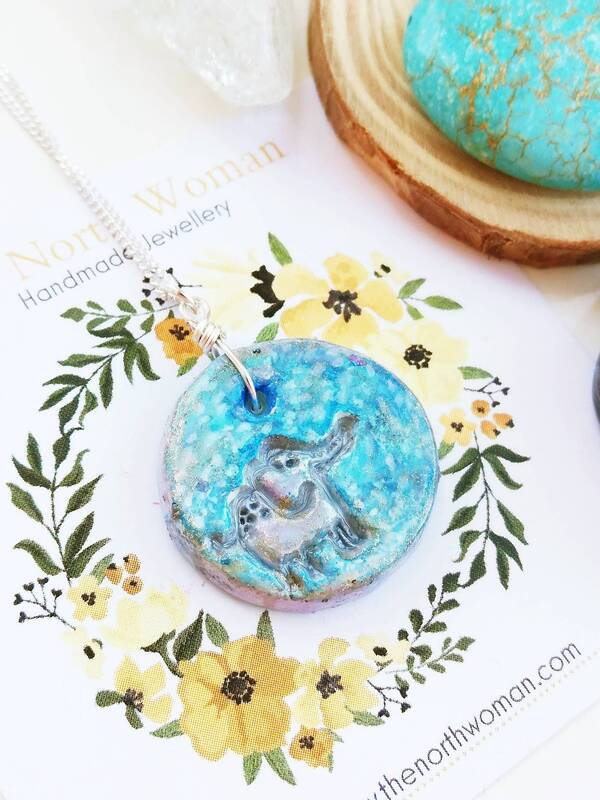 I've expanded my range of popular handmade clay pendants and included many animal and floral designs. I call this little guy Omar. I'm having way more fun then any adult is supposed to coming up with names for my new animals. I relate them all in some way to the animal or the story of making it. This guy is named with reference to the Asian elephant breed. 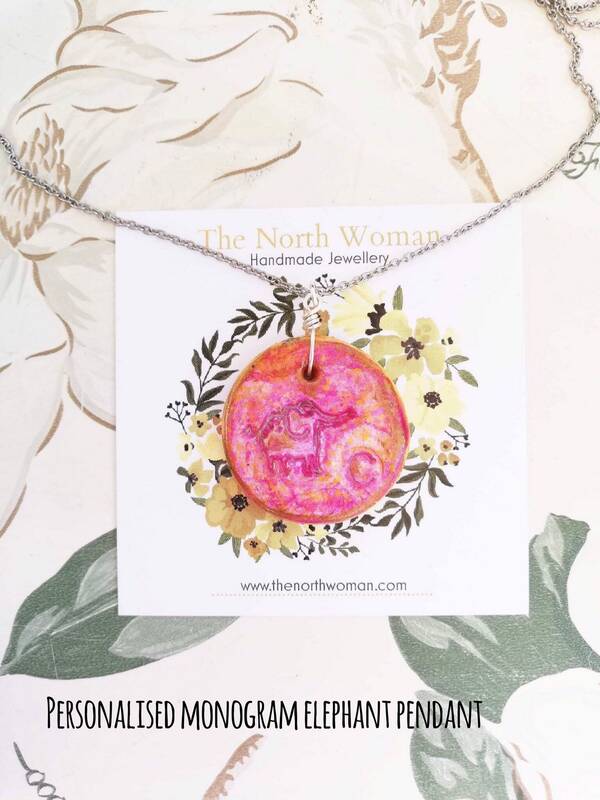 I do add a little 'my name is..' sticker to these necklaces when I send them out. 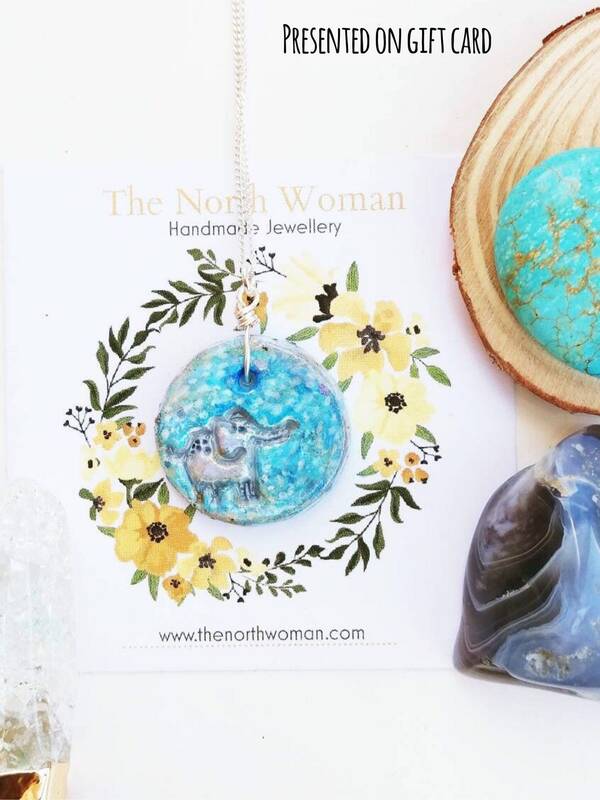 This particular necklace has a handmade pendant with a elephant design. 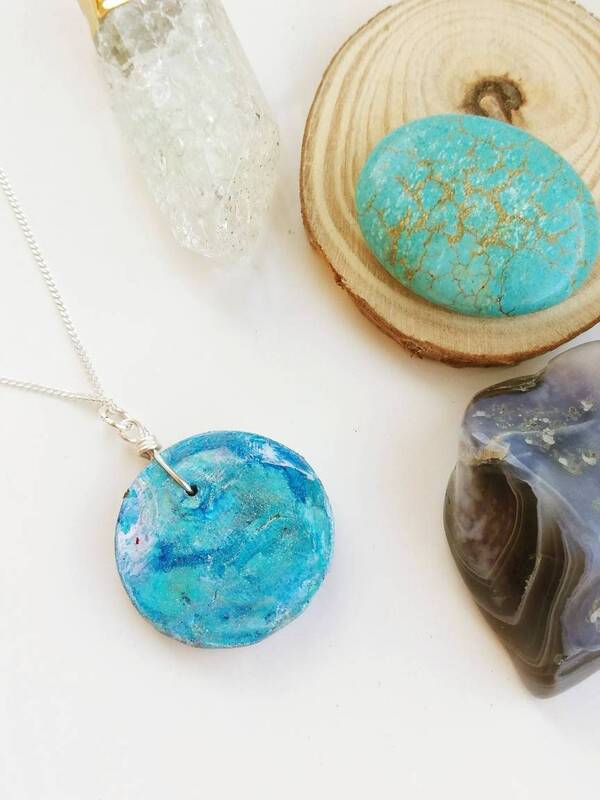 The pendant is 2.5cm wide, 2.3cm long (excluding wire) and 4mm thick. 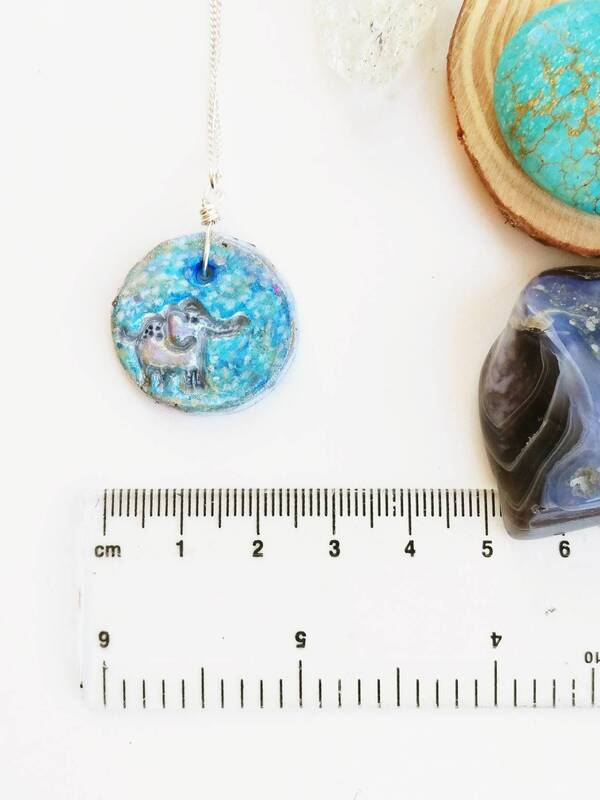 With the wire wrapping included, the total pendant length is 3.2cm. 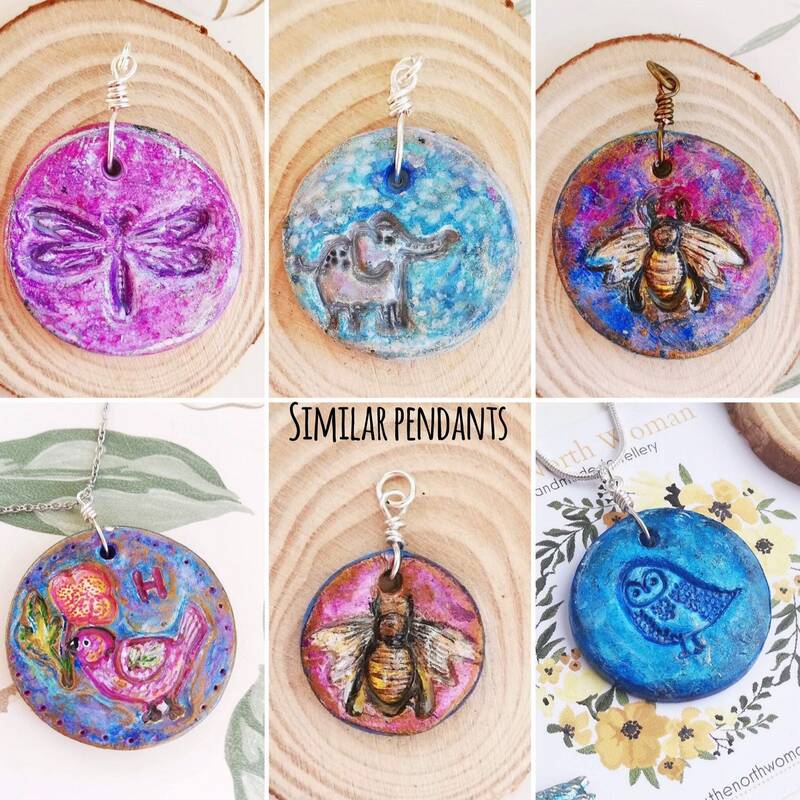 I hand make each pendant and paint them, so each is entirely unique. 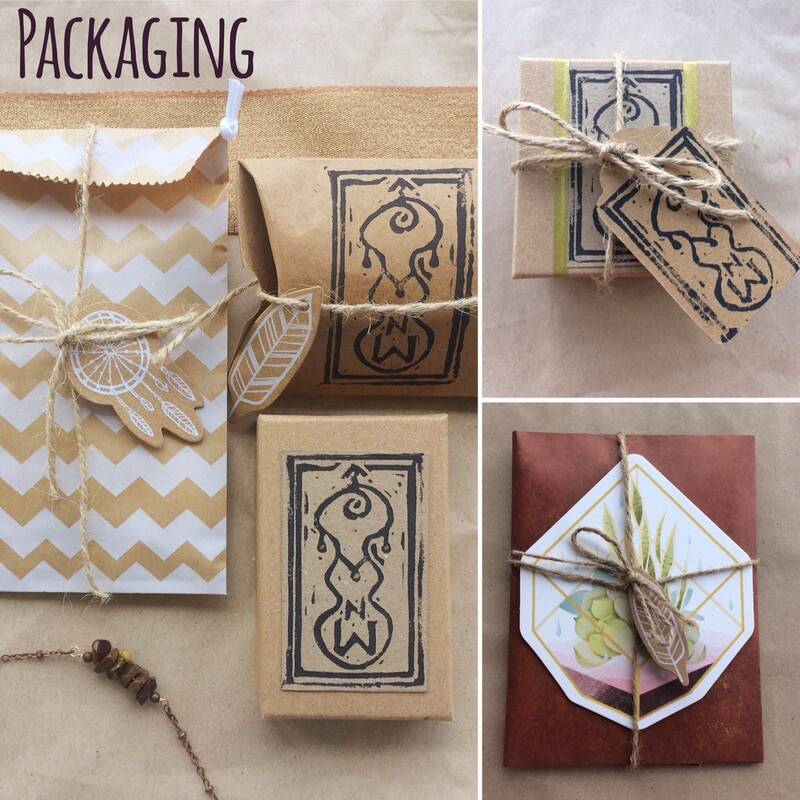 The elephant motif is inlaid in the clay, creating a three dimensional design. 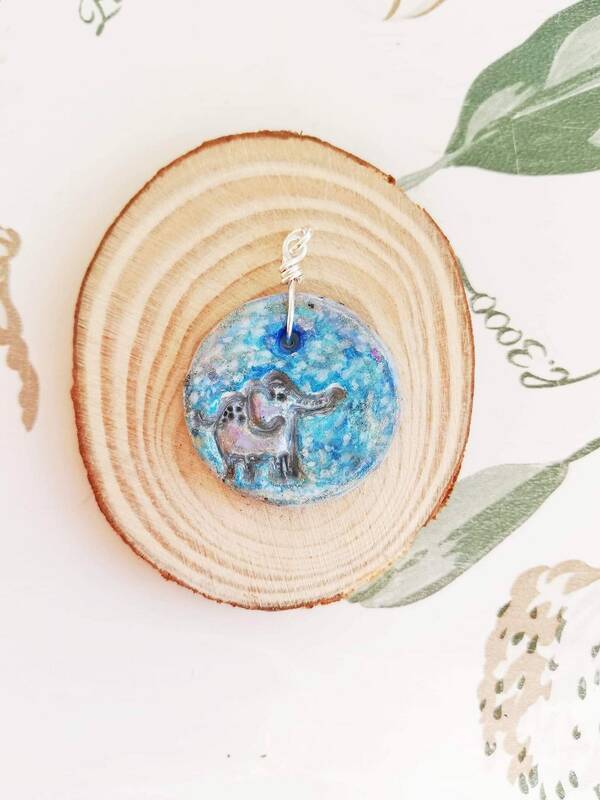 I have several other animal friends, including several more elephants, currently in progress and soon to be added to the shop. 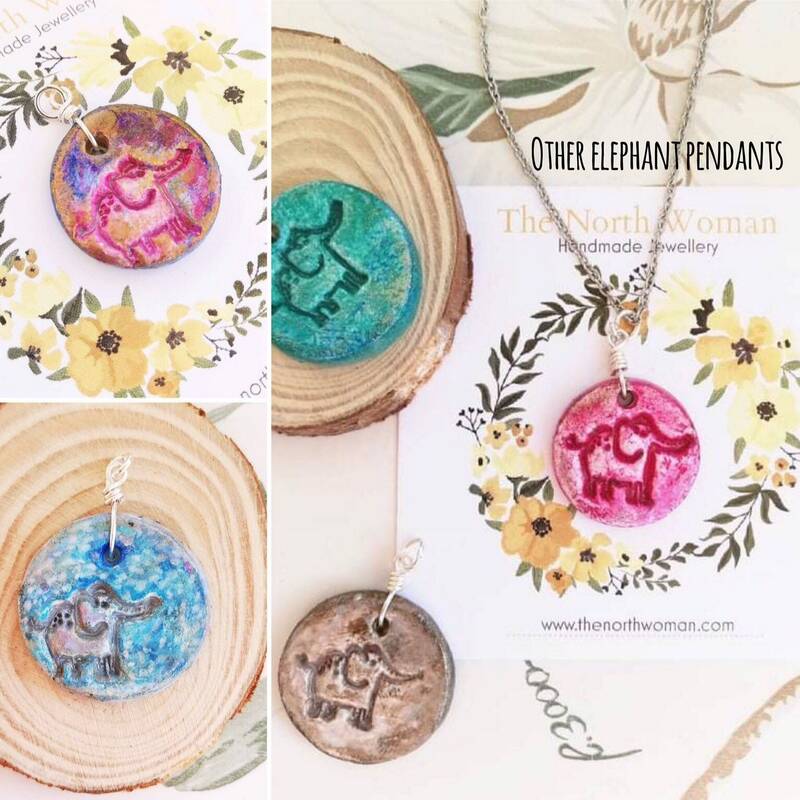 I also have a listing upcoming with custom elephant pendants, where you can add a monogram initial to the pendant. 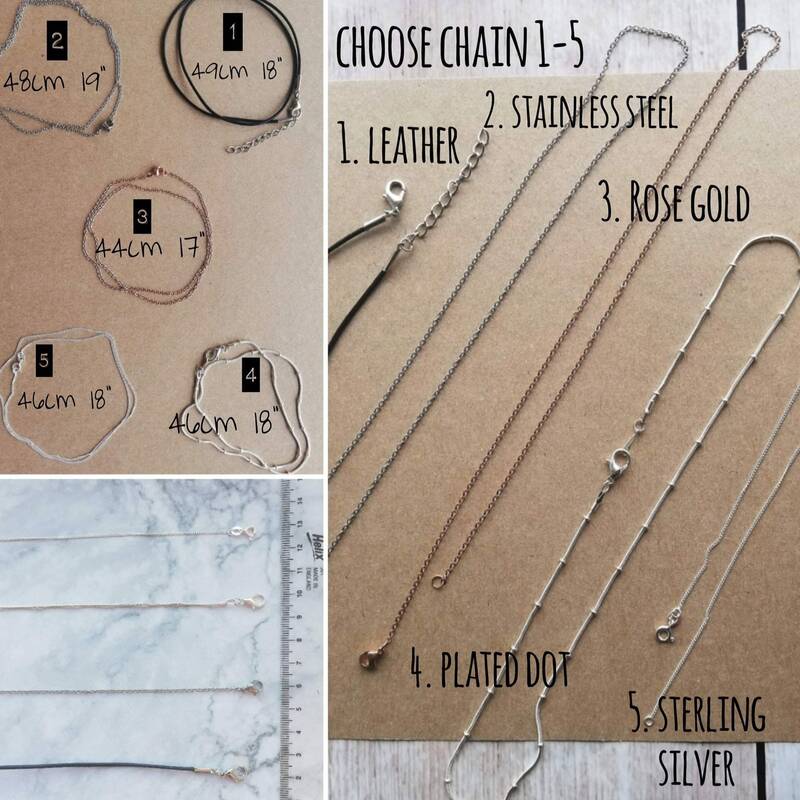 Choose an option from leather cord, stainless steel, rose gold, silver plated or sterling silver chain.